Brig. Gen. (res.) 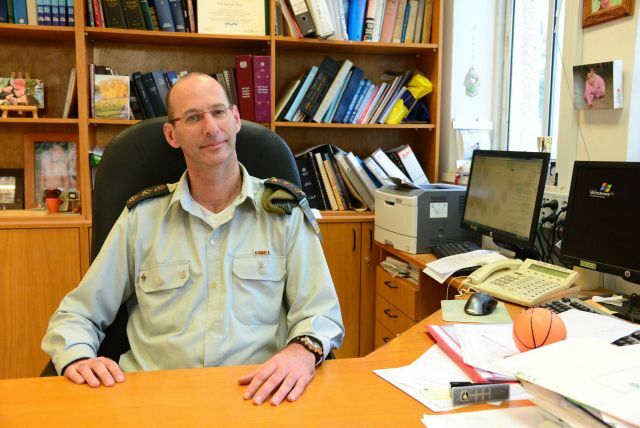 Ilan Malka was recently appointed deputy chief commissioner of the Israel Prison Service and then promoted to commissioner (a rank parallel to major general in the Israel Defense Forces). As someone who has been exonerated for the killing of Palestinian civilians, both beforehand and retroactively, no one is more worthy to move to the top of the pyramid of the Israeli jailers corps. Malka, a former commander of the Givati Brigade, is one of many who symbolize Israel’s great talent: to be above and beyond the law. That’s also the reason Prime Minister Benjamin Netanyahu is now firing in every direction. It’s not because of the UN Security Council resolution, which is too little, too late, but to frighten and deter anyone who dares question our comfortable position of being exempt from punishment, both beforehand and retroactively, both in Israel and around the world. Malka’s appointment should be highlighted this week, which marks eight years since the winter onslaught against the Palestinians in the Gaza Strip. Operation Cast Lead began on that black Saturday, December 27, 2008. In the international community, Israel was exonerated from blame and exempt from punishment for killing some 760 besieged Palestinian civilians without shelters and anywhere to flee, and another 260 ordinary city policemen, who were attacked in their police station. In Israel, Malka was exonerated for the killing of 21 members of the Samouni family from the Zeitoun neighborhood. As usual, the IDF investigated itself and found itself free of any problem. The Samouni family’s disaster turned it into a symbol of the 2008-09 assault. One order from Malka to press the button on the morning of January 5 sent a few missiles toward the structure in which about a hundred family members had been gathered. His soldiers from the Givati Brigade had conquered the neighborhood 24 hours before, killed a boy and three unarmed adults in or near their home, and took the frightened civilians out of the houses, some of which had been turned into IDF positions. The soldiers closely supervised the line of old men and old women, the men and the children and the women with babies, who walked in the cold and thought that together, in one building, they would be safe. What’s more, the IDF position was only a few dozen meters away. The soldiers could see that a few men had gone out to get boards to start a fire and make a little bread for the children, who were crying in fear and shivering from cold. But the high-tech forward command post interpreted the long boards they were carrying as rocket-propelled grenades, and Malka ordered a bombardment. The men carrying the boards were sentenced to death, along with the rest of the civilians in the building, who Malka’s soldiers knew full well were there. Let’s remember the Samounis’ 10 babies and children that Malka’s order killed that morning: Mohammed, less than 1 year old; Muatasam, 1 year old; Aza, a 2-year-old girl; Nassar, 5; Fares, 12; Ishak, 13; Rizka, a 14-year-old girl; Ismail, 15; Walid, 16; and Huda, a 16-year-old girl. May their memory be blessed. Now, exempt from blame and punishment, Malka can stand at the head of the institution a third of whose prisoners (about 6,200 according to information provided this month to the Center for the Defense of the Individual) are Palestinian residents of the Gaza Strip, the West Bank and East Jerusalem. Of only a few may it be said that they have the blood of 21 civilians on their hands. Meanwhile, there are 572 administrative detainees. Like Malka and other senior Israeli commanders, they have never been brought to court. Only they haven’t killed 21 people, 10 of whom were children, and unlike Malka, they are being punished by a long, indefinite incarceration based on suspicions they are not allowed to know. Forgetting and causing us to forget the Samouni family’s dead, and the thousands of other Palestinian civilians killed, is an integral part of Israel’s philosophy of existence. We are allowed everything, and anyone who opposes our tyranny is a criminal.